With its 257.5 ft. (78.5 m) boom, the GMK5250XL-1 has the longest main boom of any five-axle all-terrain crane and combines that with the best lifting capabilities in the industry, according to the manufacturer. At bauma 2019 Manitowoc launched a new unit in the five-axle category and two new three-axle models. 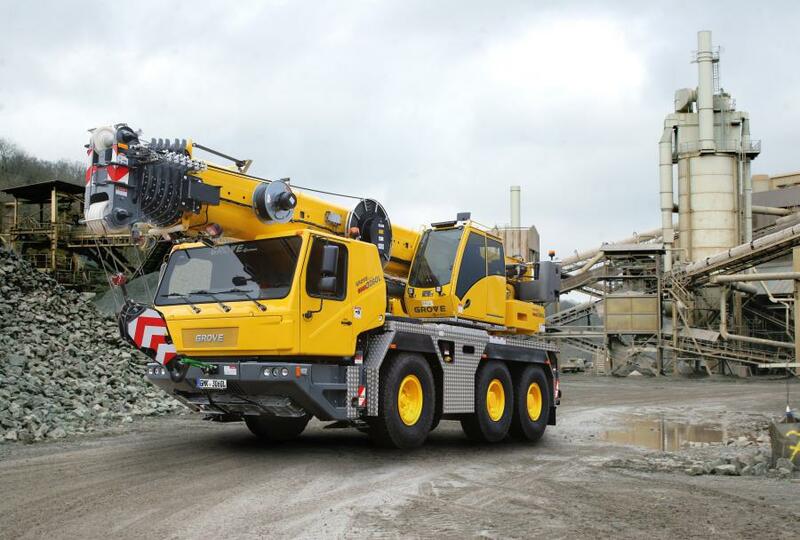 Andreas Cremer, global product director of all-terrain cranes at Manitowoc, said the launch of the new models underlines the company's increased speed of product development under The Manitowoc Way and its ongoing commitment to building cranes that offer outstanding return on investment. "We believe in developing cranes our customers can use in a wider variety of projects for better return on investment," he said. "The GMK5250XL-1 is a great example of how we do that. It's an update to our existing GMK5250L but we've added 8.5 m of boom for more reach, so it can take on more jobs. At the same time we've maintained the class-leading lift performance, maneuverability and fast set-up of the GMK5250L which make it such a popular choice with our customers." 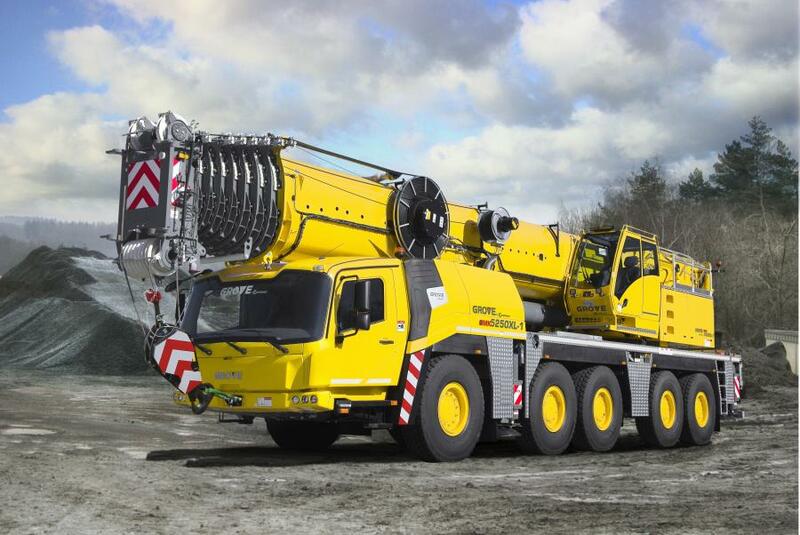 With its 257.5 ft. (78.5 m) boom, the GMK5250XL-1 has the longest main boom of any five-axle all-terrain crane and combines that with the best lifting capabilities in the industry, according to the manufacturer. 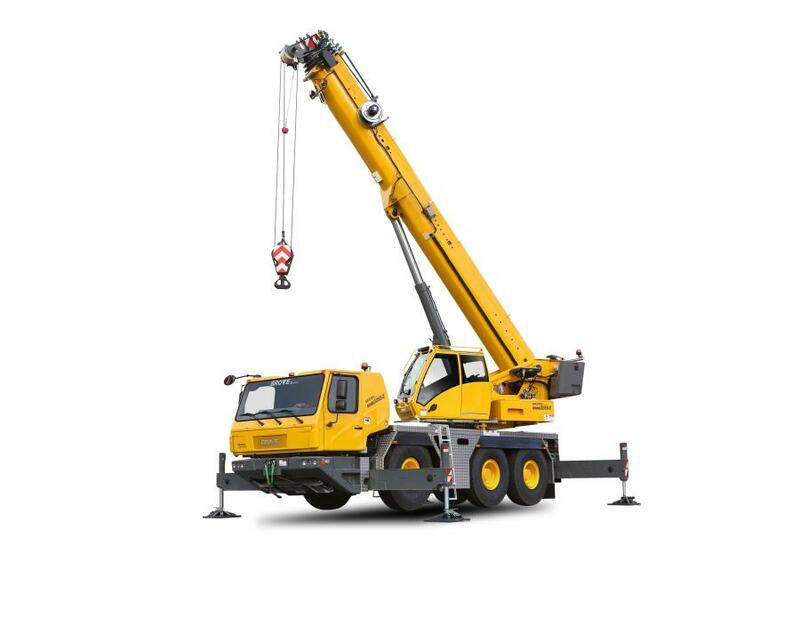 As with all Grove all-terrain cranes, it features Megatrak suspension and the twin-lock boom pinning system. It also is available with the MAXbase variable outrigger function for added versatility on the job site. Options for the GMK5250XL-1 include the VIAB turbo retarder clutch, which first featured on the original GMK5250L. The VIAB unit enables wear-free starting and braking, enhancing maneuverability and operator comfort. In addition to its high-performance features the crane delivers a compact footprint, making it ideal for use in crowded or urban areas. In the three-axle category, the GMK3060L sets new standards of excellence and includes a powerful, seven-section MEGAFORM boom with 157.5 ft. (48 m) of main boom and a maximum tip height of 213 ft. (65 m) when working with its full jib. For consistency and control, the 66 ton (60 t) crane features Manitowoc's crane control system with boom configurator for fast and efficient set-up. With its compact carrier, the GMK3060L can squeeze into tight locations, again making it a great option for downtown job sites or congested projects. Next to the GMK3060L is the new GMK3050-2, an update of Grove's long-running three-axle offering, the GMK3050-1. It offers a 131 ft. (40 m) main boom, fast operating speeds and a single counterweight configuration for ease of use. It's engine and design also have been updated to meet the latest requirements of Euromot 5 (which also covers both Tier IV Final and Tier III regulations in the United States and the rest of the world). Both the GMK5250XL-1 and GMK3060L offer the most compact footprint in their class, and both have best-in-class load charts when configured in taxi-mode, at 13 ton (12 t) per axle, according to the manufacturer.